FIFA has confirmed it has received new information from the World Anti-Doping Agency (WADA) about Russian footballers implicated in a database obtained from the Moscow Laboratory. It comes after the names of around 300 Russian athletes were given to International Federations (IFs) by WADA in Lausanne yesterday. All of the athletes are thought to have tested positive before being awarded negative results between April 2012 and September 2015. “We can confirm that FIFA and other International Federations have met with WADA and were provided information concerning new data from the Moscow laboratory obtained by WADA recently,” a FIFA spokesperson told TASS. 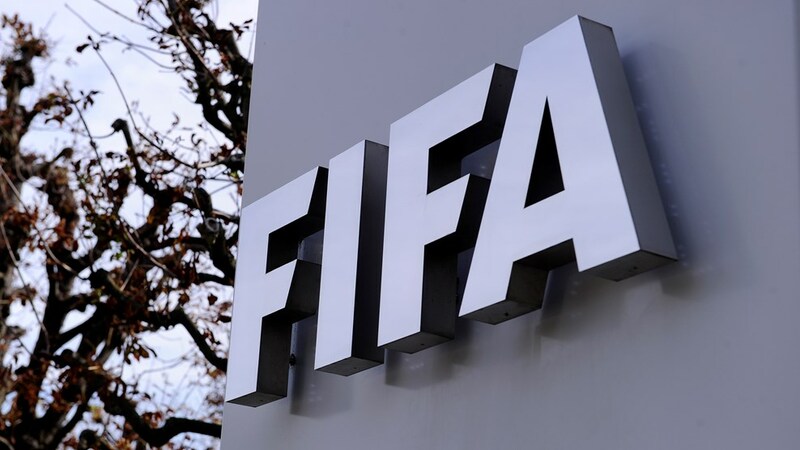 “FIFA is expecting further information to be provided by WADA in the coming months. “FIFA will continue its investigations, working in close collaboration with WADA and exploring every possible avenue. Last month, FIFA secretary general Fatma Samoura insisted there is not widespread doping in Russian football amid fresh allegations about players from the 2018 World Cup host nation. The Mail on Sunday reported that Grigory Rodchenkov, the former head of the Moscow Laboratory now turned whistleblower, had evidence that Russian internationals benefited from the doping scheme in the country. Rodchenkov had not been contacted by FIFA despite the evidence he possessed, the report added. Samoura insisted world football’s governing body had not tried to speak with Rodchenkov, whose revelations sparked the WADA-commissioned McLaren Report, as it was not normal procedure to do so. The accusations came after reports that the entire Russian team from the 2014 FIFA World Cup in Brazil were implicated in the McLaren Report and were being investigated. A total of 33 footballers were named in the report and were among the more than 1,000 athletes who Canadian lawyer Richard McLaren alleged had been part of an institutionalized doping scheme. Russian Deputy Prime Minister Vitaly Mutko, the former Sports Minister who is also the head of the Russian Football Union, has consistently dismissed these claims. FIFA launched an investigation when the McLaren Report was published in December 2016 and said they had contacted the Canadian lawyer at “several stages” since. McLaren has, however, previously cast doubt on that claim. WADA director of intelligence and investigations, Günter Younger, informed representatives of more than 25 IFs of the names of the 300 Russian athletes under suspicion. They claim to be confident that new evidence will ensure that cases which “have previously hit a dead-end can be resumed and new cases can be initiated – a number of which we believe will result in athletes being sanctioned”. Both summer and winter sports were among 60 IF representatives present in Lausanne alongside officials from the International Olympic Committee (IOC), International Paralympic Committee and other unspecified anti-doping organisations. Athletes identified include those who would be expected to compete at next year’s Winter Olympic Games in Pyeongchang. The obtaining last month of the Laboratory information management system (LIMS) database, achieved without Russian cooperation, was hailed as a major breakthrough in the ongoing investigation into institutional doping and sample tampering by the world’s largest country. It is thought to have corroborated much of the evidence provided by Rodchenkov. A copy of the information in the LIMS database was given to the IOC-commissioned Schmid Commission before their recommendation last week which culminated in their verdict that there was a “systemic manipulation” of the anti-doping system at events including Sochi 2014. This led to the IOC ruling that Russian athletes must compete under a neutral flag at Pyeongchang 2018.